The Boat is a perfect size measuring around 24 inches long, by about 17 1/2 inches wide at back of boat, and about 10 inches deep. This listing if for the Boat only all other items in photo are available upon request. 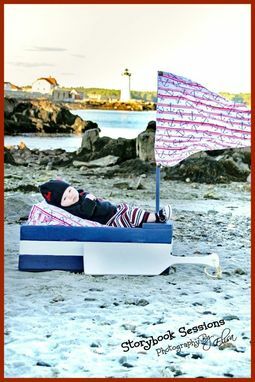 Here is a list of the extras you can get with this boat: removable mattress, removable toddler bench, removable sail, wooden background posts, oar, and swimming ring are all available. This is a one of a kind must have piece that any photographer would love to work with. All of my Pint Size Props come fully assembled, painted, and ready to use. Each Pint Size Prop is handmade by me to order just for you. This listing is for the Boat only. 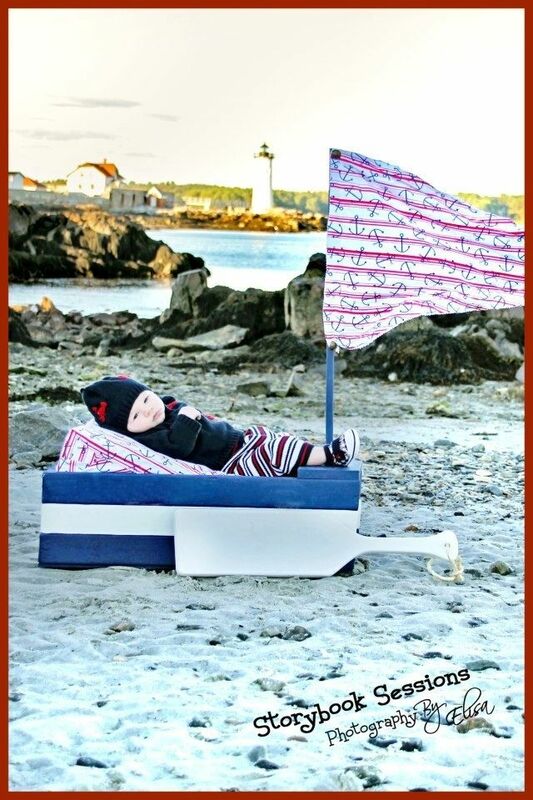 The mattress, removable toddler seat, sail, oar, wooden posts, and matching ring are all available in our shop. Thank you so much to Gail Morello of Pixel Perfect Photography and Storybook Sessions Photography for the amazing Photos!!!! I ship worldwide so please contact me if you are outside the U.S. for shipping costs.